This list includes both faculty and associated in the area. Names of faculty members are in bold. Adé Williams, an HPSI Alumni, is an international violin soloist and recent graduate of the Curtis Institute of Music, where she studied violin with Ida Kavafian. She the first place laureate of the Junior Division of the Sphinx Competition (2012), the Vivaldi Seasons Competition (Cambridge, 2012), the DePaul Concerto Festival for Young Performers (2011), Sejong Cultural Society’s Music Competition (2010, 2009), and numerous other competitions, beginning with the Walgreen’s National Concerto Competition (2005) at age eight. Recent thrills include her fourth US tour (2017) with the Sphinx Virtuosi where she premiered a double concerto called “Guardian of the Horizon” by Jimmy Lopez which was commissioned for the tour by Carnegie Hall and the New World Symphony. Adé’s orchestral debut with the Chicago Sinfonietta (2004) at age six as that orchestra’s youngest ever soloist launched a wonderful succession of solo performances: South Side Family Chamber Orchestra (2006); Highland Park Strings at Ravinia (2007); Lake Forest Symphony (2009); Illinois Symphony Orchestra with Rachel Barton Pine at Millennium Park (2010); Waukegan Symphony Orchestra (2011, 2014); and Sphinx Laureate extended solo series (2012–2014), including solos with Ann Arbor Symphony, Baton Rouge Symphony Orchestra, Buffalo Philharmonic, Butler County Symphony, Cleveland Orchestra, Detroit Symphony Orchestra, Erie Chamber Orchestra, Florida Orchestra, Grand Rapids Symphony, Hilton Head Symphony Orchestra, Indianapolis Symphony Orchestra, KwaZulu-Natal Philharmonic Orchestra, Memphis Symphony, Modesto Symphony, Nashville Symphony Orchestra, New World Symphony, Northwest Indiana Symphony, Philadelphia Orchestra, and South Bend Symphony. In 2004 Adé founded SugarStrings, a string trio of cousins known for exhilarating performances on 98.7 WFMT, CNN/Essence, NBC Nightly News, ABC7, WTTW’s Chicago Tonight, Chicago Symphony Orchestra/Milwaukee Symphony/Ravinia affairs, and numerous civic and charitable events for the City of Chicago, La Rabida Children’s Hospital, Haiti relief, Caribbean Children’s Fund, Living Room Café Soup Kitchen, The Cradle, and other worthy causes around the country. In 2012, Adé produced her first Adé & Friends benefit concert for a school on Chicago’s south side. Through her second concert, she plans to eliminate child homelessness in the Chicago Public Schools. 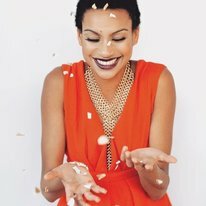 To discuss her musical life and philanthropic ambitions, Adé has been invited to speak at an Arts and Culture course at the University of Michigan (2012), the KIN Global Summit 2013 at the Kellogg School of Business at Northwestern University, and the Milken Institute’s Changing the World in Innovative Ways Conference panel, “Why Wait: Young People Blazing Trails” (2014). ​Nzinga-Ain Barberousse, an HPSI Alumni, started with HPSI at age 3 on the piano. She has studied at Sherwood, MIC, UIC, and Northwestern for classical piano since then. Also a member of the Hyde Park Suzuki Scholars Quartet, she toured the Chicagoland area performing with other musicians through high-school and college. Her teaching career began 7 years ago with a single student and has grown to include students of all ages. She has been a certified Suzuki Method instructor for several years and uses a mixture of methods to teach music theory and sight reading. She received her Bachelor of Science in neuroscience still studying piano and receiving a scholarship for it throughout college; and plans to continue teaching throughout graduate school. 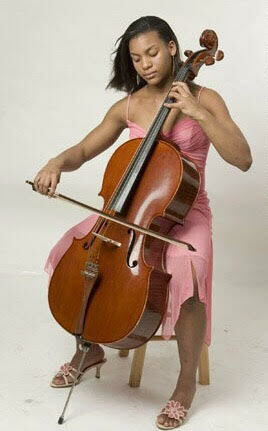 Ifetayo Ali began her musical studies on violin when she was able to stand. An HPSI Alumni, at age 3, she decided that she preferred the mellow sounds of the cello and begged her mother to switch. She was allowed to switch at age 4. Her teachers and coaches have been Lucinda Ali Landing, Megan Lauterbach and Martine Benmann at the Hyde Park Suzuki Institute, Tahirah Whittington, and Hans Jørgen Jensen. She has also studied with teachers at summer music camps at Suzuki-Deerfield, Illinois Wesleyan, Sphinx Performance Academy, Meadowmount, and the Young Artists Program. Ifetayo is the Sphinx Competition Junior Division First-Place Laureate for 2017 and performed as soloist with the Sphinx Symphony Orchestra at Orchestra Hall in Detroit. At the 2016 Sphinx Competition, she was awarded Second-Place Laureate in the Junior Division. Ifetayo was also one of the winners of the 2016 DePaul Concerto Festival for Young Performers and performed as soloist with the Festival’s Oistrakh Symphony Orchestra. She has performed with the Wilmington (NC) Symphony at the Wilson Center, New World Symphony at New World Center in Miami Beach, Florida, Detroit Symphony in Orchestra Hall, Pittsburgh Symphony in Heinz Hall, South Bend Symphony at Morris Performing Arts Center, Buffalo Philharmonic in Kleinhans Music Hall, Elgin Symphony at Hemmens Cultural Center, Chicago Sinfonietta at Chicago Symphony Center, and Southwest Michigan Symphony at Howard Performing Arts Center. In 2013, at the age of ten, Ifetayo was honored at the Friends of the Illinois Philharmonic Orchestra Rising Stars Showcase, where she recorded the 1st movement of the Saint-Saëns Cello Concerto (No. 1). To date, the video has over 105,000 YouTube views and over 15 million Facebook views. She also recorded “Celtic Hymn” by James MacMillan, who discovered the video and complimented Ifetayo via Twitter. Her most recent YouTube recordings are the first movement of the Shostakovich Cello Concerto (No. 1) and Pampeana No. 2 by Alberto Ginastera.